Need a little Monday Morning style inspiration? Well look no further & check out what I am wearing today. 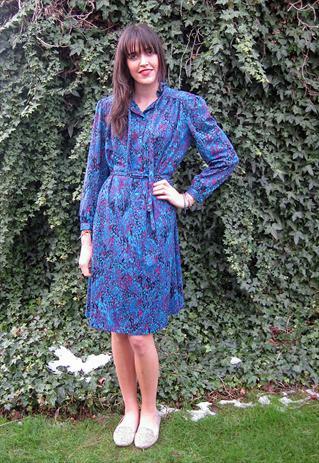 I have gone for a vintage animal print dress in Cobalt Blue, one of my favourite colours & massive for this season. Finished off with Black leather gloves which were my nans & a Danimac Rain Mac… Perfect, stylish & functional. Footwear are some animal print pumps with gold studs, I have mixed two prints in this outfit as they are both quite subtle so it works well.